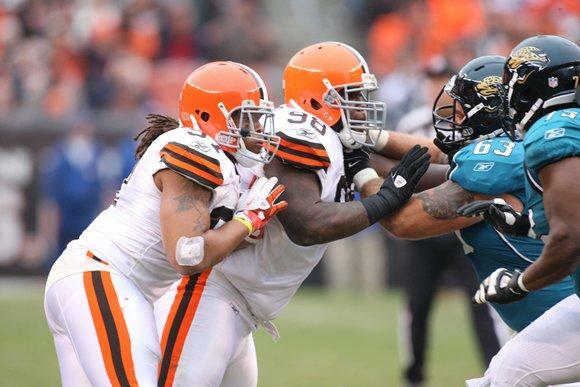 The Cleveland Browns host the Jacksonville Jaguars on Sunday in the penultimate home game for the Browns. The Browns and the Jaguars come into the game trending in opposite directions. Jacksonville has won two of its last three games – both on the road, interestingly enough – while the Browns have lost the past two games to derail what was possibly turning into an interesting close to the 2013 season. Now, instead of a possible playoff push, we get to watch the Browns in the race once again for a high draft pick. Oh, and Brandon Weeden returns this week as the Browns starting quarterback. This has the potential to be an ugly game as both the Browns and the Jaguars are dealing with ineffective offenses. The Jaguars come in last in the NFL in points per game (12.9), last in average yards per play (4.5) and last in yards per carry in the running game (2.9). Something has to give and that something will most likely be Josh Gordon in the passing game. Jacksonville has given up 43 receptions of more than 20 yards this season, the sixth-highest total in the league. They start rookies John Cyprien and Josh Evans at both safety spots, and another rookie, Dwayne Gratz, is part of their cornerback rotation. The one thing the Browns can do on offense – maybe the only thing – is successfully throw the ball deep to Gordon. If Weeden can hit a couple of deep passes to Gordon, it may be enough to overcome the rest of the offense’s shortcomings. This would also be a good week for the Browns to show some semblance of a running game, if nothing else to take some of the pressure off of Weeden, who will get absolutely zero support from the fans in attendance at First Energy Stadium. Jacksonville has been really bad against the run this season, giving up 4.3 yards per carry and an NFL-worst 15 rushing touchdowns. But they have tightened things up in the past few weeks, allowing just 58 yards on the ground over the past three games. As bad as the Jacksonville run defense was earlier this season, the Browns are even worse when they try to run the ball, so expecting any help from the running game is probably a fool’s errand. As for Weeden, what else is there to say? At this point he is what he is; he’s not going to get any better and is entering what very well may be his final five games in a Cleveland uniform. “He’s extremely excited to get a chance,” offensive coordinator Norv Turner said of Weeden’s return as starter. “He’s a very, very good competitor. You get down and you want to be good, and he does a great job of keeping it to himself and not showing it. Defensively, the Browns should be able to hold their own against a Jaguar offense that doesn’t really do anything well under quarterback Chad Henne. Jacksonville quarterbacks have thrown for just five touchdowns against 16 interceptions this season, while taking 27 sacks. For the most part, the Browns have been active on defense, but when it comes to sacks and turnovers, they’ve been coming up short the past few weeks. Maybe this is the week that big-money free agent Paul Kruger – currently ranked in the bottom 10 of Pro Football Focus’ Pass Rush Productivity rankings – joins Jabaal Sheard (ranked 15th among 3-4 outside linebackers) in getting to the quarterback. The Jaguars still have Maurice Jones-Drew, but after eight years in the league he is not the same running back. Jones-Drew has yet to break 100 yards rushing in a game this year and his 3.2 yards per carry would fit in well on the Browns with Willis McGahee and Fozzy Whitaker. And for the first time in a long time, corner back Joe Haden should get a bit of a day off as Jacksonville is without suspended wide receiver Justin Blackmon. If the defense can make enough plays, it may not matter who is at quarterback for the Browns this weekend. This is always the worst time of year for Browns fans. The team has no hope of making the playoffs, meaning that any wins from here on out only hurt the long-term plan of improving the team. 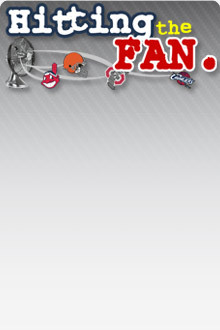 But continual losing breaks down not only the fans, but the players as well. Veterans get tired of it, and if the younger players only know losing it is hard to break out of that cycle. We don’t want to root against the Browns, but the best course of action would be for the team to lose out and get as high of a draft choice as possible. This team has so many holes to fill (and may have more to fill once free agency hits in March), that winning right now is counter-productive. Earlier in the season we would have agreed with Chudzinski about the team’s resiliency. But the past two weeks the Browns have put that to the test and come up lacking. The Browns should have enough to beat Jacksonville this weekend, though, even if seven points is many points for this Browns offense to be giving anyone. Look for a close win by the Browns and enjoy it Browns fans – it may be the last one we see for a while.